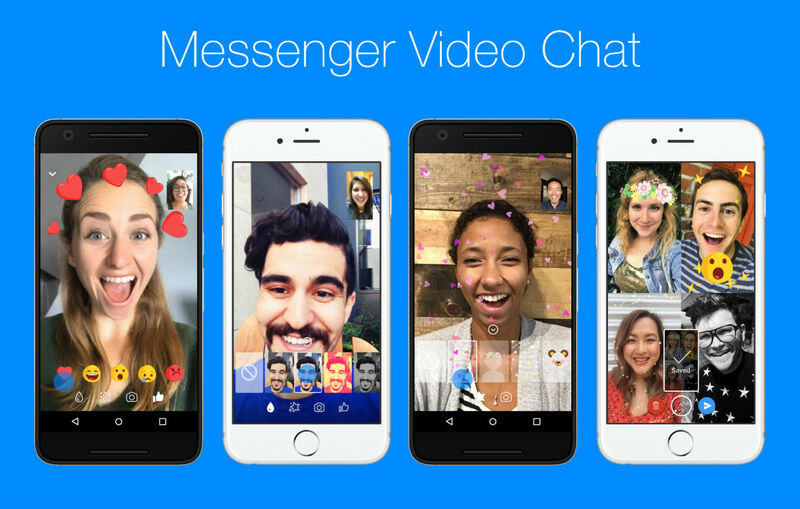 It seems that each day brings new features for Facebook Messenger, with the latest being specifically for the video chat function. In this update, Facebook is baking in a lot of emoji goodness, as well as filters when you and friends are video chatting with each other. Once this update hits your device, you will find impulsive emoji buttons to play with, allowing you to express quick shows of emotion. These emotions align with what’s already available on someone’s status update — love, laughter, surprise, sadness, and anger. When you press the button, you’ll see some quirky animations, but they differ at times depending on whether your video is enabled or not. On top of emoji stuff, Messenger video chat now has different filters to apply, such as B&W, some type of sepia, plus plenty others. Along with those filters, Messenger now also has Masks you can play with. We’re talking bunny ears and teeth, twinkling stars, little bear suits, and more. Grab the update and go have some fun with your friends.